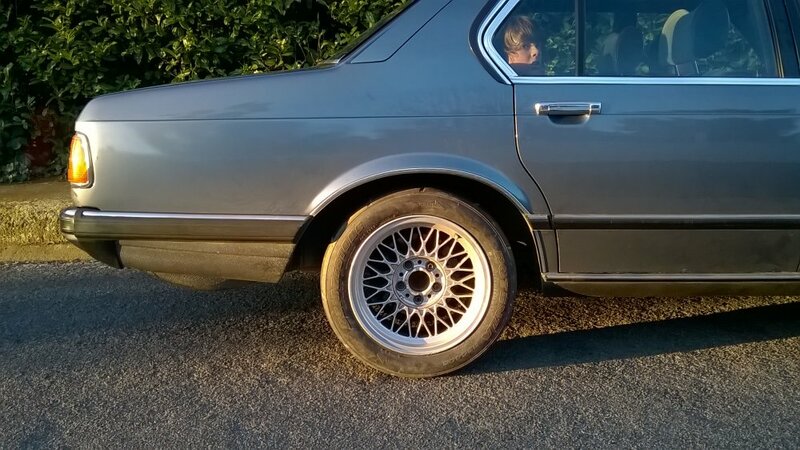 I'm after some thoughts on the look of these tyres on my E23. The size is 225/50/16 which by my calculations keeps the gearing near identicle to stock. I can't help but feel that the tyre looks too small. Or am I being nuts? 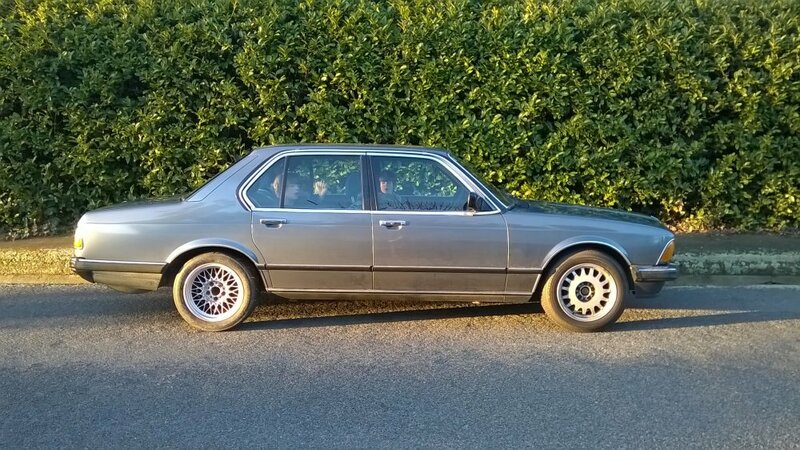 The ride height is stock. Could go down to 15's but I like these wheels. Could do with a little more 'low' though. I'd go more on how it drives - wheels look fine --- you should see my X5 with Pirelli scorpions on 17 inch rims compared to the low profile 19's we run on the road, the reverse of your issue - tyres look enormous!!! yeah well I wont know for sure until I get 4 new tyres. That's why I was wondering if they looked ok. Don't want to spend the money if its going to look weird. may do that. E23 lower springs a bit harder to source. Not impossible though. E23's seem especially high in the front. If you know any of her history I'd love to know! I'm open to the idea, although I kinda like the ride height at the back. Front I think is gonna have to go down a bit.